What is it exactly about homework that is responsible for wearing out the families? Even the newbie school going students who love doing their homework at first, sometimes lose their interest and initiate filibustering. As a parent, you might want your kiddo to buckle down so that you can get him or her dinner on the table or initiate the bedtime routine. But, playing the role of a cop not always work. Nagging and controlling makes your child frustrated and he or she feels stupid. Take up the role of a coach or cheerleader. In this article, some A+ strategies are jotted down in order to solve the most common headaches. 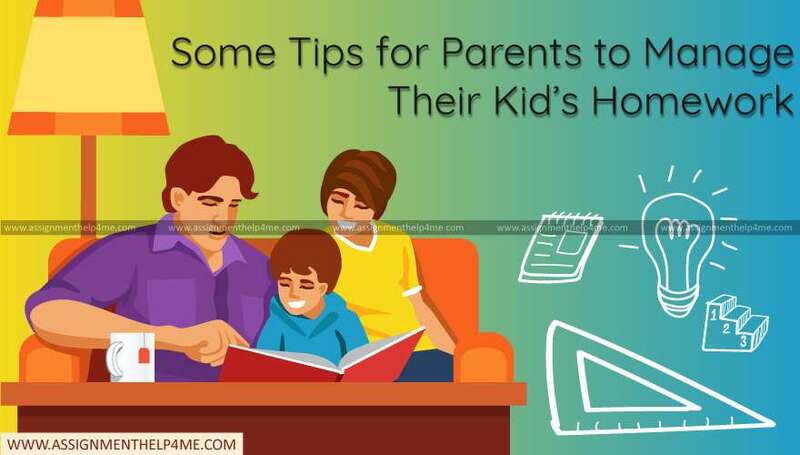 These tips work like magic and help in bringing back the harmony into the homework routine of your child no matter he or she is a kindergartner, a fifth-grader, a procrastinator or a complainer. If on any day, there are no activities to be performed in the afternoon, provide a time frame to your child so that he or she can get down to business. This way your child will get some control over the schedule. The reason being, there are some students, who need a long break after coming back from the school and some students have the ability to start right away to keep the momentum going. The rule here is that the latest time to start is 5 o’ clock. This way, the bulk of the homework can be completed before your child gets exhausted. According to Ann Dolin, M.Ed., When kindergarten initiates, your children must have a call list of three to four classmates who they can call when they forget an assignment or homework. The study buddies of your children can help in reading the spelling words over the phone or his mother can send you a pic of the worksheet. Make sure to excuse your child entirely, if he/she is absolutely lost. According to Cathy Vatterott, Ph.D., a University of Missouri- St. Louis of education, you can shorten the homework but don’t forget to inform the teacher. Write a note to the teacher explaining everything. If your child still doesn’t have any clues related to the assignment or you don’t get any reply from the teacher in a few days, follow up with an e-mail. A teacher will understand only if your child do this once in a while, but if your child is not able to finish the assignments regularly, there will be consequences for sure. According to Sigrid Grace, a second-grade teacher in Almont, MI, and a member of Scholastic Parent and Child’s advisory board, when children are not able to get something immediately, they start feeling that they are stupid and start abandoning. By sitting down and figuring out the issues, you can start short-circuiting negative thinking. This way, your child will remember how to do the rest. If your child is tearing up over a long assignment and you exactly know how to get the answer. But, the instructions given by the teacher are different. Will you teach your child your method so that he/she has the right answer? According to Dr. Vatterott, there are chances that your method might confuse the child even more. You can talk to your child as ask him/her to recall what was explained in the class. If your child is still not able to recall anything, write down a note to the teacher and explain the reasons why he/she doesn’t understand. You can also get rid of your worries by taking Help with homework. Your child will be provided with English homework help, Science homework help, Geometry homework help or any other help related to any subject.